Ex Library Book with usual stamps and stickers. Good condition book. Jacket Condition: Good. Good condition is defined as: a copy that has been read but remains in clean condition. All of the pages are intact and the cover is intact and the spine may show signs of wear. The book may have minor markings which are not specifically mentioned. Most items will be dispatched the same or the next working day. Inscription on first page from previous owner ***SIMPLY BRIT*** We have dispatched from our UK warehouse books of good condition to over 1 million satisfied customers worldwide. We are committed to providing you with a reliable and efficient service at all times. 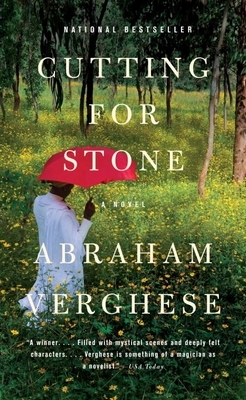 Books by Abraham Verghese, M.D. Interesting characters, especially Gosh. Way to technical and medical for my reading taste. My opinion, a better read if about half the pages. Became redundant and the story not that believable. Author is definitely a brilliant writer! A story of the life of a Physician. A boyhood spent in a mission hospital in Addis Abba and his early career as a doctor in the U.S. The times in the mission hospital are well described and interspersed with clinical histories. Life as a junior physician (intern) in the poorer end of New York and the characters he works with are well defined . The writing is excellent. I enjoyed this book! Superb writing. Gripping reading especially for those with some medical background since the author often uses medical terminology. This is a very well written, educatonal and interesting novel. Excellent character development. One the best novels I've read in years. My only negative has nothing to do with the book itself, but with it's condition discription by the seller. Every paragraph is marked with an X in pencil, and ocassional comments. The discription indicated the book was in excellent condition with no mention of the markings. Didn't care for this long drawn out story. Could have been told in half the pages. Had to read first half of book before the story got somewhat interesting. Took everything I had not to toss it aside before finishing.